"Light has won over darkness. Victory and a majority are within our grasp," the politician told supporters at his final campaign rally in Crete. But the latest polls indicate Syriza will need a partner for a coalition. This could be one of the smaller Greek parties, who would barely manage to pass the 3 percent threshold to gain seats in parliament. 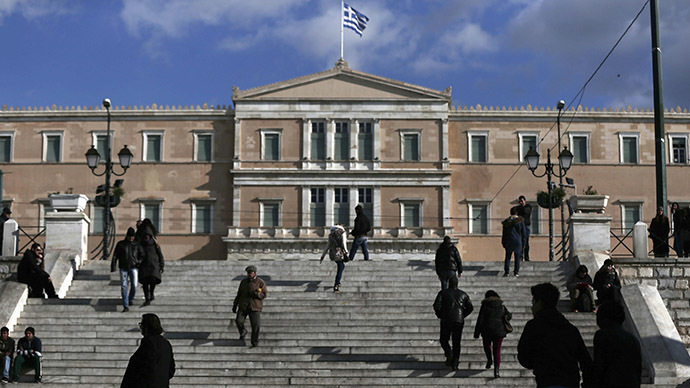 One likely candidate is the Independent Greeks, formed by rebels from the New Democracy. They have demonstrated a surprising popularity growth in the past weeks. The central-right Independent Greeksand leftist Syriza differ on many policy issues, but they find common ground and appeal to their voters in their skeptical stance towards the European Union, and the policies imposed by the troika of international creditors on the bailed-out nation. Tsipras’ political platform lies on reversing much-loathed austerity measures taken by the Samaras government. He promises higher minimum wages, better social security and lower taxes to bring investment into the ailing Greek economy. The country has been in deep recession for years, suffering with unemployment of 25 percent – the worst among European nations. Delivering on such promises would be a challenge for Tsipras, considering the austerity demanded by the European Central Bank and the European Commission before they bailed out Greece when it was driving towards defaulting on its national debt. Two bailouts were paid in 2010 and 2014 totaling 240 billion euro. The program, however, expires on February 28. Tsipras wants an extension to the current deal and a renegotiating of the terms, but lenders, particularly Germany, indicated they won’t agree. Balancing between the populist campaigning and the realities, forming a viable government will be a tricky act for Syriza. Previously the party said it would be willing to go as far as leaving the eurozone and the EU. This would allow Greece to return to its national currency and devalue it to boost export and pull out of EU’s ongoing trade war with Russia, which has hurt agriculture in European nations, including Greece. Syriza’s message, combined with its threats to default unless their demands are not met, injected uncertainty in the financial markets. It also provoked a flurry of angry comments from other European nations, which would likely suffer if Athens did carry out their threat. Tsipras’ rhetoric toned down in the later stages of the election campaign and European officials didn’t fail to notice the fact. "Once politicians move from being candidates to being members of government, they acquire an additional perspective," Italy's Economy Minister Pier Carlo Padoan noted in an interview at the World Economic Forum in Davos. The change of tone disenchanted some Syriza supporters, who now believe the party’s stated anti-austerity agenda was a lie, but also drew in the less-desperate and more skeptical voters, RT's Maria Finoshina reports from Athens. When pressed to foreshadow his policies after the election, Tsipras remained coy, pointing to his party’s anti-austerity manifesto. He plans his first foreign travel as prime minister to Cyprus, a fellow bailed-out European nation.